Versitile Means a Border Collie! The Border Collie originated in the United Kingdom, or more specifically, in Scotland. Although the border country of Scotland saw the birth of the breed, it was nearby Northumberland which later produced the strain which is now famous throughout the whole world. The breed was originally known as the “Working Collie” in the early 1900s and through selective breeding has evolved the Border Collie we see today. It is believed that the breed emerged from a mixed ancestry, including the Bob tailed sheep dog, the Bearded Collie and the Harlequin Collie. There is also some references that the collie was often crossed with the setter. This could account for the milder temperament of the Border Collie. In 1893, Adam Telfer, a farmer living in Otterburn, mated a couple of his working collies, Roy and Meg and produced one called Old Hemp, which might be regarded as the foundation sire of the Border Collie breed. Hemp indeed was early recognised as the very quintessence of the working sheep dog and his services were in great demand. Not only did he sire some two hundred puppies before he died in 1901, but he seems to have been capable of transmitting his own pre-potency to his offspring with the result that Border Collie pedigrees are about as clearly defined as any in the livestock world. 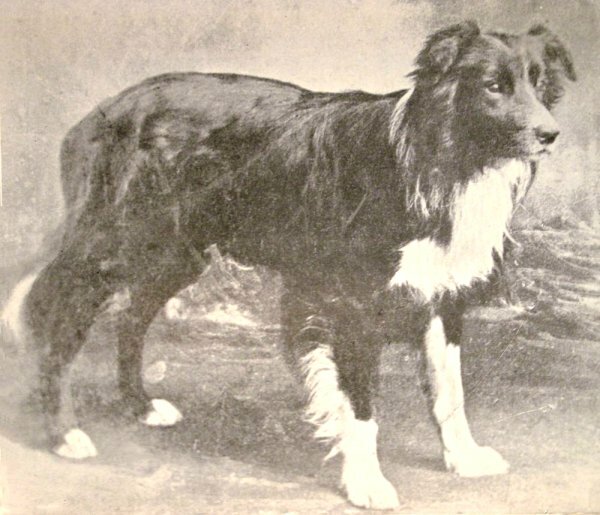 The first recorded import of a Border Collie into Australia was Hindhope Jed in 1901 and research has led us to believe that they were first shown in 1907. They were first shown at the Sydney Royal in 1933 as “Any Other Variety”. Later, they were shown in the non-sporting group and in 1953, a separate group was formed, comprising the Australian Cattle Dog, the Australian Kelpie and the Border Collie. This was called “The Australian Working Dog Group” and it was at this time that the RAS Kennel Control classed the Border Collie as an Australian Working Dog because it was one of the main working dogs in Australia and greatly relied on in our sheep and wool industry. This classification has carried through to the present day, although other breeds were added to these in 1961 and the group was then renamed the “Working Dog Group”. The Border collie’s intelligence, tractability and stamina are breed assets which have long been recognised and sought after in their sheep dog work . These same traits are now being put to good use by our “suburban” Borders in the fields of obedience, tracking and agility. Of course, the Border Collie is first and foremost, a sheep dog and for many years was used for this purpose only. However, the breed has shown its ability to adapt to city life: as long as the Border Collie is in the right home, it is a most attractive and companionable dog, intelligent, loyal and full of fun.